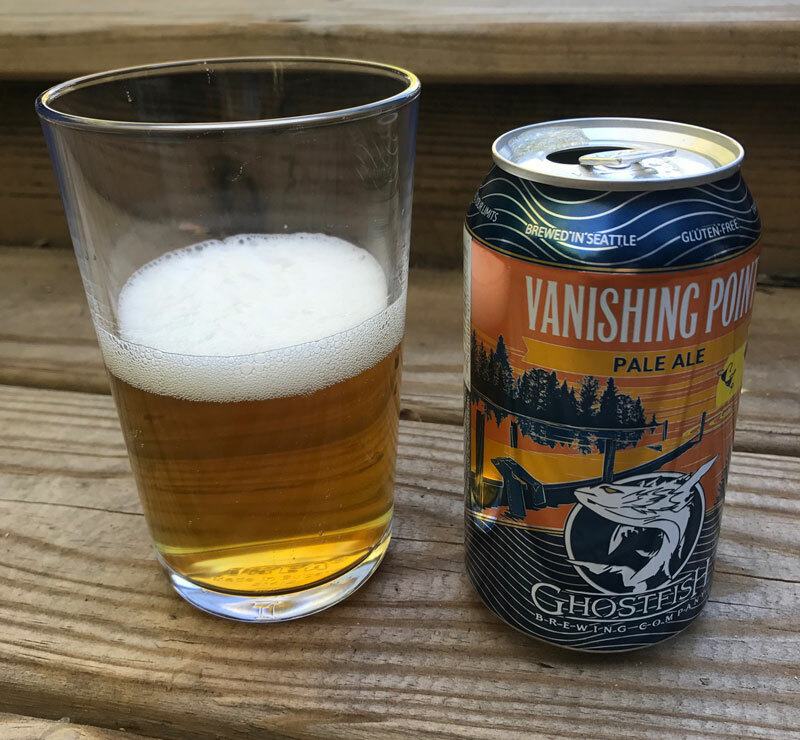 According to Ghostfish brewing, the term Vanishing Point refers to the vanishing of your pre-existing expectations for a gluten-free beer, and I wholeheartedly agree. This beer isn’t missing anything you would expect in a “normal” beer. Nor does it have any flavors that you don’t expect in a good beer! 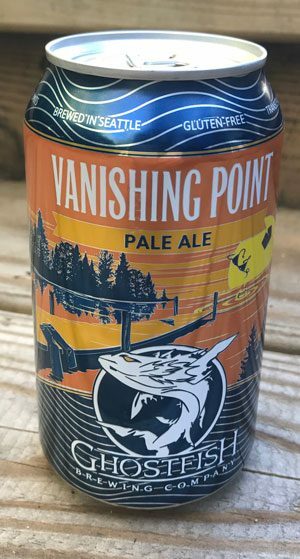 However, when I was drinking this beer, the thought came to me that the vanishing point just may refer to the full body of this beer that quickly dissolves, or vanishes, into a dry finish that leaves nothing but a faint, slightly bitter aftertaste. Ghostfish has done a great job of brewing, this excellent tasting beer from non-traditional gluten-free ingredients, and (bonus) without the use of sorghum. Smell: bready, with hints of apricot and orange. Body: good fully-body feel with a dry finish. Taste: Earthy and bready with a great full-body, and light hoppy taste with a dry finish. Reminds me of a hoppy lager. Overall: Very tasty, and drinkable. Brewed by Ghostfish Brewing company, Seattle, Washington.